As was previously announced, Batman: Return to Arkham - which includes remastered editions of both Arkham Asylum and Arkham City - will be made available tomorrow (February 21). 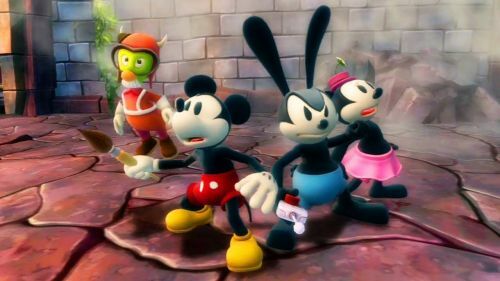 That title will now be joined by Headlander, a Metroidvania-style platformer from Double Fine Studios, and Epic Mickey 2, a backwards compatible title with Xbox 360 (and a highly underrated one, at that). Earlier in February, The Walking Dead: Season One was added to the list of games. Now, its follow-up, Season Two (imagine that), comes around the following week, on February 28th. In keeping with the "scary things trying to kill you" theme, Alien: Isolation is also added to the list - which is awesome because that game is great. On top of the wide selection of previously released games, Microsoft releases all of their first party exclusives on the service on day one - meaning, for example, that Crackdown 3 was playable for subscribers to same day it was released. Other multi-system games, such as Mutant Year Zero: Road to Eden, are sometimes added on release day, as well, but it's rare.